How many gay women does it take to tell a lesbian light bulb joke? Answer: two—one to tell the joke and the other to angrily proclaim, I don’t think that’s the least bit funny! Other than chuckling at cheap shots directed at Sarah Palin or nervously tee-heeing at titillating double entendres, the white Lefty Lezzie isn’t exactly known for the healthy psychological talent of not taking herself at all so seriously. In fact, the white-on-white women-loving-women of the Left seem to have a puritanical penchant for virulently viewing themselves as virtuous victims of villainous oppression. Not exactly the lighthearted stuff of self-deprecating humor. As women and as lesbians, these Downtrodden Dykes see their lives as perpetually impacted by the double-edged sword of sexual orientation and gender oppression. Clinging to all those phony feminist theories that paint their so very sad personas as poor picked on pawns of a pernicious homophobic patriarchy, these girls willingly wrap themselves in the coveted cloak of victimhood status. If you took a sociological gander at any gay gathering of white metropolitan liberal lesbians of middle age, you would soon discover that many of these alternative life-livers happen to earn their daily dollars as dependent ladies of governmental largess. You would find a preponderance of teachers, administrators, social workers, nurses, federal and state agency employees, city and county workers of various types, and a mish-mash of non-profiteers making up the majority of career choices. But you might also come face-to-face with some higher flyers, like academicians, attorneys, and a physician or two. All coming together under the crimped-brain notion that THEY, middle class white lesbian women, are sorely oppressed. 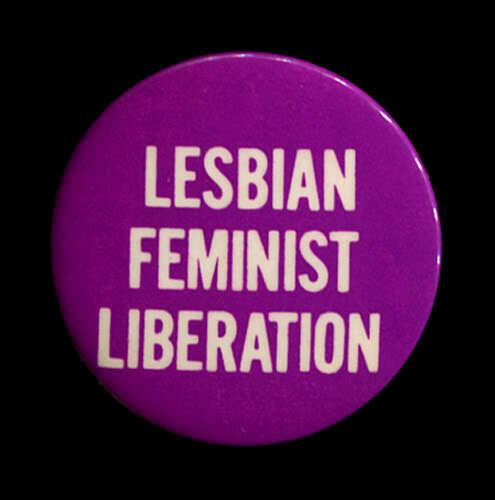 Oppression, in this day and age of cheesy victim hustling, is so ludicrously defined that there are actually white lesbians and gay men who publicly tout the political struggles of gay America as tantamount to the Black Civil Rights movement of the 1960s. Mind-boggling, isn’t it? These complaining shrews of progressivism, can go anywhere they’d like to go, pursue any career their talents allow, and are more highly degreed and more highly compensated than their white straight sisters. So many of these gay middle class martyrs of America’s supposed homophobic patriarchy own their own homes, vacation in second homes away from home, look forward to retirement in their 50s with guaranteed pensions awaiting them, drive late-model cars, have money to manage in the bank, and are generally cosseted from the economic and social vagaries facing the rest of humble humanity. Oh, get out your handkerchiefs! How quickly the oppressed seem to morph into the elite these days. And how quickly a straightforward struggle for civil equality can degrade into a hissy fit for political privilege. This entry was posted in Lesbian/Gay, Political/Social and tagged kvetch, lesbian feminist, liberal lesbian, middle class, Sarah Palin, white. Bookmark the permalink.